Cell phone theft – and really, the theft of electronic devices in general – is a major problem in the United States. Cities like New York, Los Angeles and San Francisco have all seen a surge in phone thefts. And while stolen phone databases do exist for helping catch the thieves, most phones wind up being sent to black markets overseas. It would only stand to reason, then, that non-erasable firmware capable of tracking and recovering stolen phones overseas would be a slam-dunk with handset manufacturers. But according to a new report in today’s Huffington Post, major wireless carriers are using their veto power over Samsung to keep the embedded tech off the next generation of Galaxy phones. The software in question is Absolute Software’s LoJack app. It’s an optional $29.99 yearly service that promises to recover stolen phones no matter where they turn up. Absolute has reunited over 30,000 devices with their owners and works with law enforcement to make sure the bad guys are punished for their crimes. This tracking technology is great for you and me as consumers, but it’s terrible for the major carriers. They’d much rather sell you their own phone insurance plan. Or so says New York Attorney General Eric Schneiderman, who is launching an inquiry into the issue. This past week, Schnedierman sent letters to AT&T, Verizon, T-Mobile, Sprint and US Cellular requesting more information about their refusal to accept the Absolute Software app. “If carriers are colluding to prevent theft-deterrent features from being pre-installed on devices as means to sell more insurance products, they are doing so at the expense of public safety and putting their customers in danger,” he asserted in a statement. Regardless of what happens with the inquiry, you have plenty of options currently available to you to help recover lost and stolen phones. Keep the serial numbers of your tech devices – phones, computers, video game systems, etc. – handy in case you need to report a theft to the police. Services like Find My iPhone and Android’s Device Manager can provide a basic level of tracking, but for real protection, you’ll want to look into a third-party service like Prey or Lookout Security. 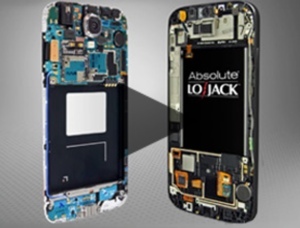 To learn more about Absolute Software’s LoJack technology, visit the company’s website. Why would the carriers block LoJack? You mentioned Find My iPhone and Android Device Manager. If those services are currently available—and as a Verizon customer I know I can use Android Device Manager—then customers already have an alternative to phone insurance. NB: You’ll need to activate the Lock and Erase features—and may also need to activate the main tracking feature—find out more. Meanwhile, check to make sure your Android Device Manager hasn’t been accidentally deactivated (eg, by a recent update of Google Play Services) at Settings > Security > Device Administrators. Finally, if you need more than Android Device Manager offers, Cerberus is a great (and inexpensive) third-party security app for Androids. Also, if your device runs Donut, Eclair, Froyo or Gingerbread (ie, Android 2.0-2.3), Lookout has a great last-ditch app for if you neglected to set up protection in advance…or a sophisticated thief managed to deactivate it. Thanks for the feedback, Jeffrey. There are two primary issues with solutions like device manager. The first is that they don’t survive a factory reset, which is easy to do on a smartphone. It’s very common for a thief to reset a phone, and once they do that, any tracking mechanisms are gone and your phone disappears from your console. Unfortunately, unless encryption is enabled a reset doesn’t wipe your removable media (such as microSD cards) so any pictures or other data you have stored there will remain and the thief is free to browse your personal data. The Absolute solution survives a factory reset. The second is that the data provided by these solutions is usually insufficient to get your device back. 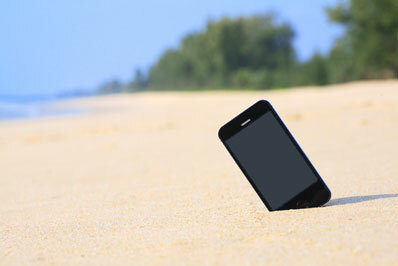 For example, we recently recovered a stolen smartphone in the Dominican Republic - If a tracking app told you your device was there, what would you have done then? Or what if it had told you it was in a bad part of town? Absolute’s relationships with law enforcement means we can use that investigative data to actually get your device back. “Self-recovery” solutions like apps aren’t much help in that regard.